On sale! 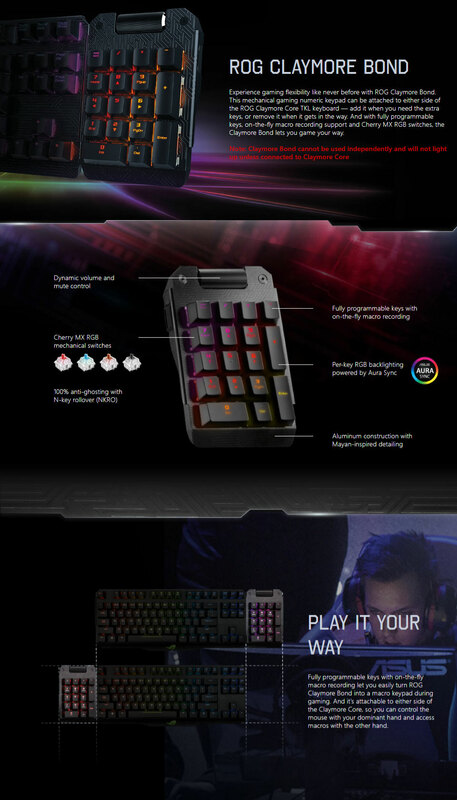 (normally $89) Experience gaming flexibility like never before with ROG Claymore Bond. 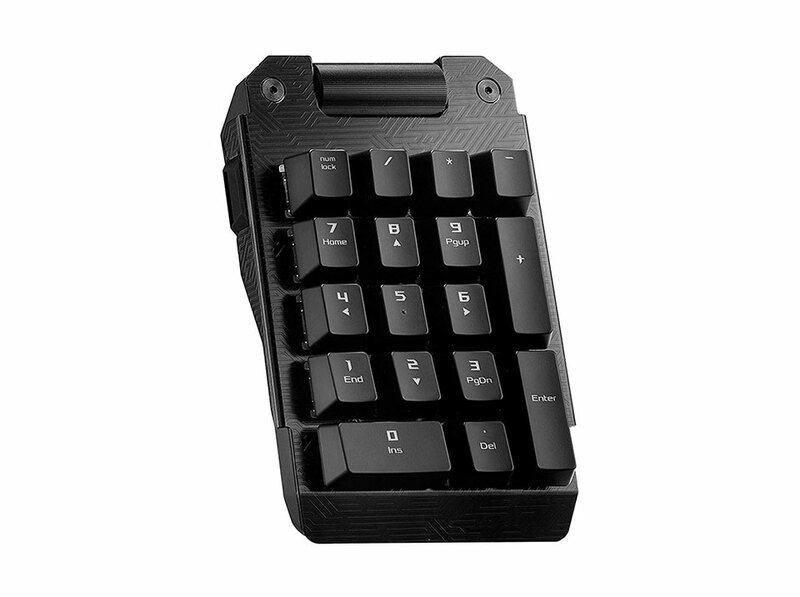 This mechanical gaming numeric keypad can be attached to either side of the ROG Claymore Core TKL keyboard — add it when you need the extra keys, or remove it when it gets in the way. 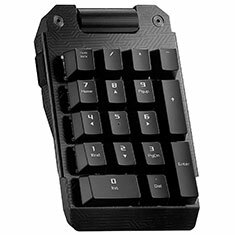 And with fully programmable keys, on-the-fly macro recording support and Cherry MX RGB switches, the Claymore Bond lets you game your way.